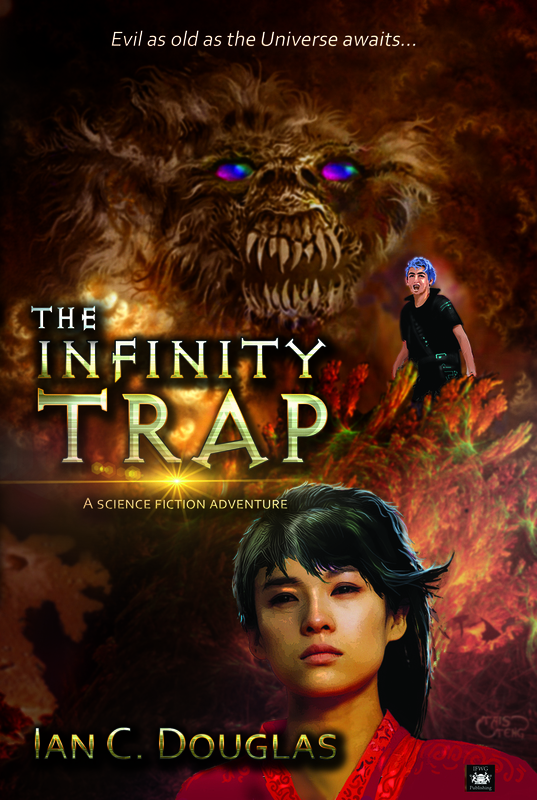 Find out more about the citizens of Mars from The Infinity Trap. Some are keeping secrets. A few are telling lies. And one or two are even going to betray our hero. Can you guess who? Zeke is an ordinary teenager who takes a desperate gamble to find his father, bluffing his way into the School for Psychics. When a Martian relic downloads their language into his head, he sees visions of an apocalypse. Can he save Humanity from a terrifying evil, find his father and still pass his ESP exams? 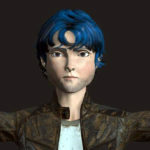 The unloved son of a wealthy industrialist, Scuff is a boy genius when it comes to computers and hacking. He’s a comic-loving slob with a loud mouth and attitude. But does his arrogance mask his true feelings? Although from a humble family, her psychic talent is so great she’s been sent to the Chasm four years early. Terribly homesick, she forges an inseparable bond with Zeke, until her talent for seeing the future lands her in danger. This 15 year old genius can hypnotize teachers. His imaginary pet is deadly. But he’s Zeke’s best new friend. Just who is he working for? And can anyone stop him? As a lonely child, Magma unearthed a dead body on his first ever dig. But his career as the world’s leading archaeologist peaked after he discovered Atlantis, and the deaths on his expedition were never explained. When he learns from the Prime Minister of the long lost Martians, Magma becomes obsessed with finding their secrets for his own gains. Has he stumbled onto the biggest mystery in the Universe? Lutz rules the Chasm with a rod of iron. Austere, forbidding, strict, nobody in the known Solar System dares mess with her. But why does she seem to have been around forever? And is she in cohoots with the bad guys? The world famous translator arrives on Mars with an evil plan. But he needs Zeke Hailey’s fluency in Martian to unlock a portal to a 2-billion-year old alien city. A city that contains a hideous monster. Beautiful, cruel, and with a talent for racketeering, this spoiled cheerleader uses her powerful psychokinesis to enforce a reign of terror. Will anyone dare to stop her? As a teenage rebel he was expelled from the school, only to return years later as its Translocation teacher. His spell in the underwater city of Sub-Pacifica changed his bad-boy attitude, but what did happen during the infamous flooding that claimed so many lives? The psychokinesis teacher practiced the traditional skills of his Inuit ancestors on Jupiter’s moon. But why didn’t he go into Space. Will Zeke stop this passionate hunter from killing his quarry? The formidable school secretary has a heart of steel. Blunt and bossy, but devoted to her job. Nothing will deflect her from her duties. What is it she’s not telling? An apprentice Mariner translocating students to Mars, Dayo senses something special in Zeke. Awestruck to meet his first Mariner, Zeke has no inkling of the tragedy yet to come. Kind, gentle and beautiful, the good lady doctor seems perfect. However, what was the dream that brought her to Mars and who is the handsome young man in the photo on her desk? And why does Zeke blush whenever she’s near? Leader of Yuri Gagarin Freetown, here is a man who is part businessman, part warrior and part scholar. Is he Zeke’s friend or foe? He talks about peace while stocking up on weapons. Rebel or warmonger? As deadly as she is attractive, Isla is an accomplished fighter and soldier. Her one weakness is…well read the books and find out. Will love be her downfall? Justice jumped ship on a trip to Mars and has been freewheeling around Mariners Valley ever since. His path crosses Zeke’s time and time again. Is he who he says he is? And why does he make Zeke jealous? This eccentric genius works in the Perspicillum, high above the Martian airline. He scours the cosmos searching for the genesis particle and mutters about saving the world. Just what grim secret is he hiding? A preacher and man of holy virtue, Josiah is leader of the tech-free Marmish colony. Inspired by divine will, he seeks to resurrect Mars by digging and planting. But does a darker temperament lurk beneath his faith. And what terrible fate awaits him at the pocket universe? Born on Mars, educated at Earth’s best military schools, this brave and muscular soldier is one of Zeke’s few allies. But will he have enough faith in Zeke to stop the bad guys? This murderous thug can’t wait to slit your throat. But his downfall will come from an unexpected source. Or click and open chapter 1 for free HERE. 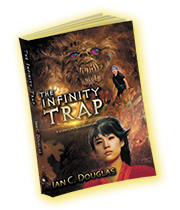 The Infinity Trap is available in print and most e-book formats and on sale at Waterstones, Amazon, and online book stores.